Lima beans called. They want you back. I never had a good relationship with limas since I was a kid. I spent a lot of time picking them out of frozen mixed vegetable medley and lining them up around the rim of my plate. There was one memorable time I ate dinner over my best friend Frank's house, and her mother, my dear Aunt Susan, served baked ham and lima beans. And salad, thank God—I had to eat the beans out of politeness and I discovered drowning them in the salad dressing made them palatable. 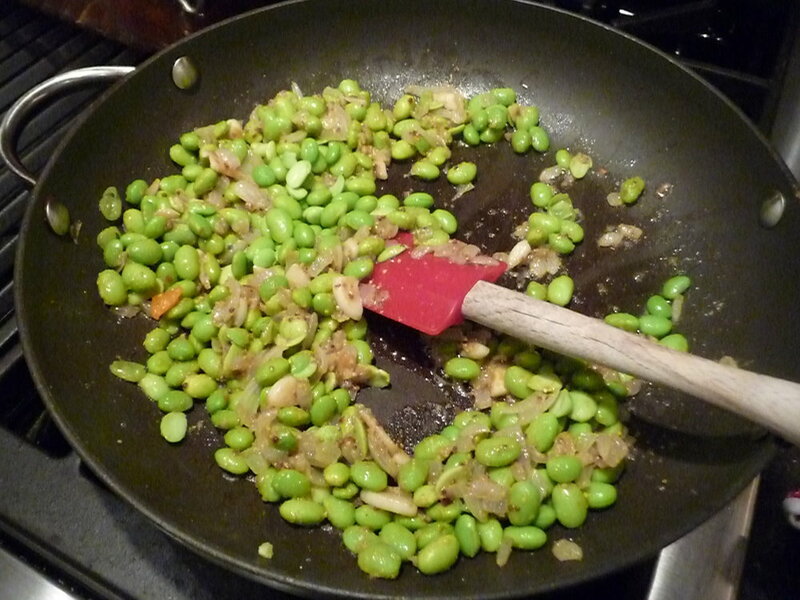 I'm still not crazy about them yet there are so many delicious-sounding recipes for lima beans out there that make me think I need to give them another chance. I think the best chance I can give is to grow them in my garden, that way they will be super fresh and stand an extra fighting chance. Hold that thought until May. This recipe is from Padma Lakshmi's cookbook Tangy, Tart, Hot and Sweet (as am I). Recipes from the book were featured in a magazine that I shamelessly swiped from the dentist's office. I tried the one for keralan crab cakes which were awesome. 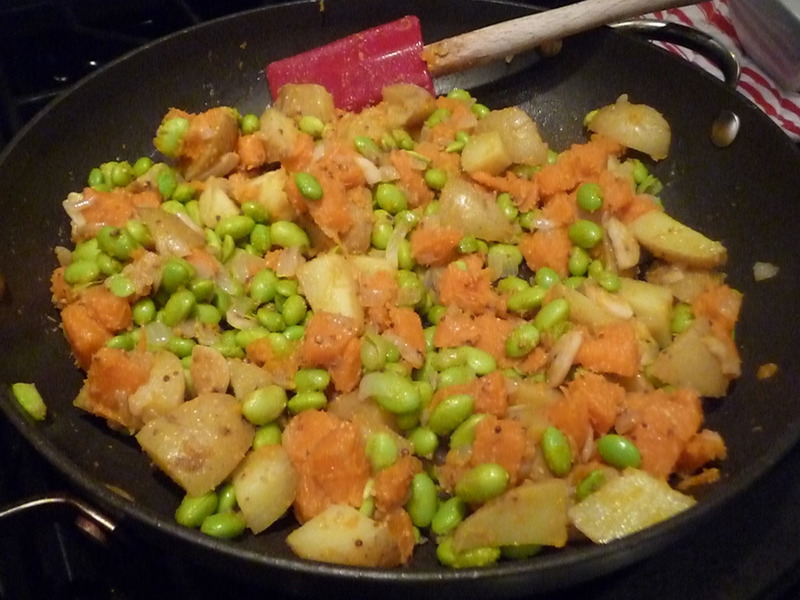 And I've made this sweet potato dish twice but I confess: I've never made it with limas. I use edamame instead. And I've made a host of other adaptions because I typically don't stock the spices called for (or my family doesn't care for them). Also my kids are more accepting of a mix of regular and sweet potatoes. 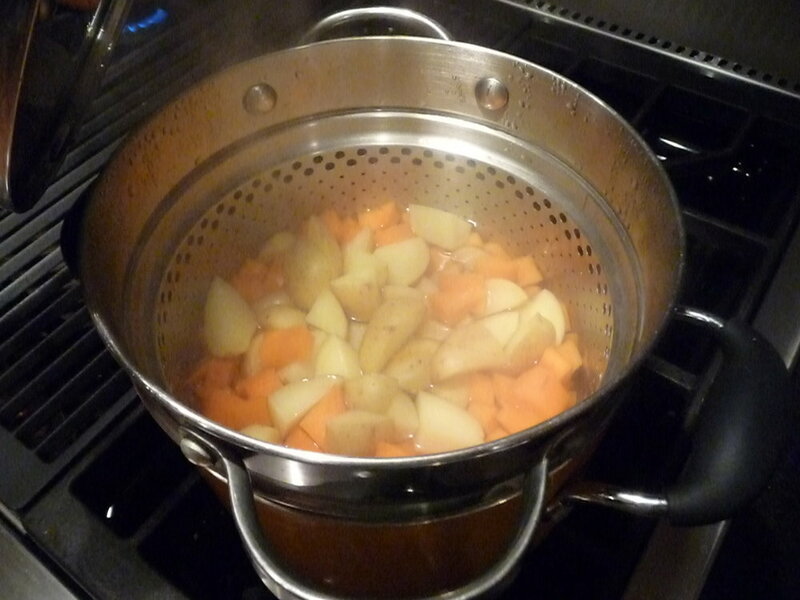 At the same time, boil the sweet potatoes in enough water to just cover them, until tender, about 25 minutes. Peel and dice once they are cool enough to touch. Heat the oil in a frying pan over medium heat. Add the mustard seeds; when they pop and start to crackle out of the pan, add the cumin, red chili, onion, garlic, and ginger. Stir well. 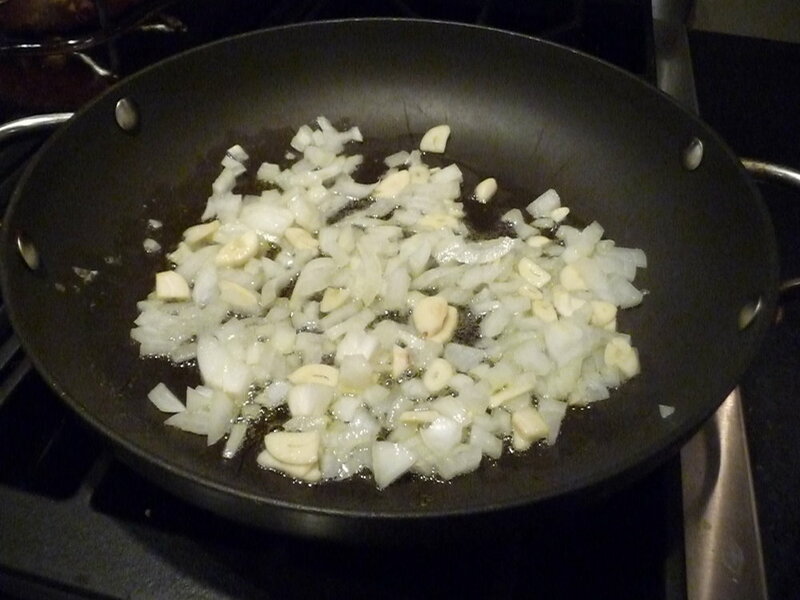 Let the onion turn golden brown, then add the limas/edamame and stir. Add the sweet potatoes. Mix all ingredients well and saute about 5 minutes more to let the tastes mingle. Salt to taste. Add lemon/lime juice and stir. Garnish with chopped cilantro. I made this with roast chicken tonight and it was delicious. But here's an interesting observation: I'm a slow eater, usually last at the table, with the result that my food often goes cold. I noticed the colder this dish got, the better it tasted. I started to envision it as a cold salad instead of a hot side dish. And while it was nice with the chicken, the spices made me think it would be even better on the side of barbecued ribs or grilled lamb.